As a natural material, wood fencing can be more susceptible to damage over the years in comparison to treated, synthetic materials. All of the wind, rain, snow, and wildlife can place it under a lot of stress. And after repairing panels and sections here and there, you may eventually wonder when it’s time to finally replace it rather than keep fixing it. To help you determine this, here are some indicators that will highlight when your wood fence needs replacing. 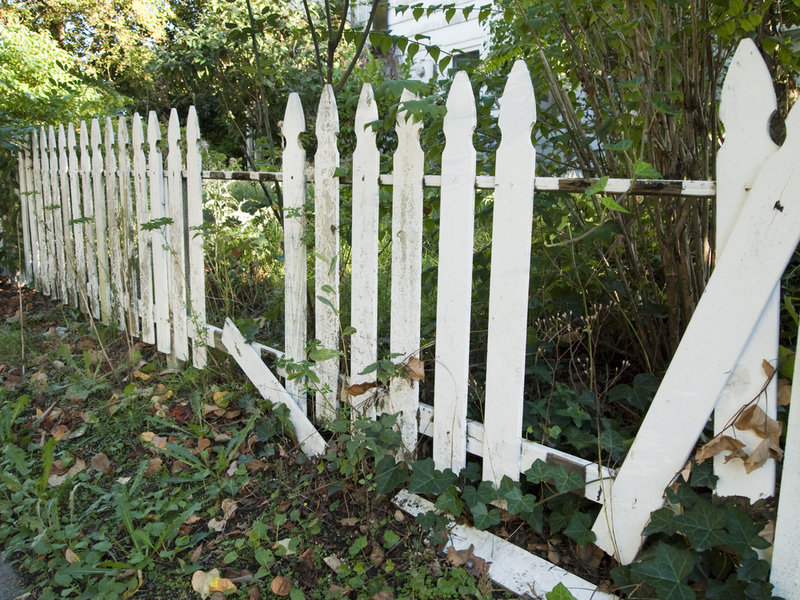 As wood fences deteriorate, they naturally begin to weaken, which eventually causes them to lean to one side. Although this isn’t always noticeable initially, you should be able to recognize this over time. This is particularly common in Canada since the long, intense winters can whip intense winds, snowstorms, and rain against it for long periods of time. Sometimes, a fence can be repaired when it does start to lean, but usually, it’s a strong indication that it’s weakening and reaching the end of its lifespan. Any broken, cracked or missing panels indicate that your fence needs a lot more than a little maintenance. Missing or broken panels detract from the entire look of the fence, along with the curb appeal of your home. And, more importantly, they can become a security and safety hazard, especially for pets and children. If your current one has a few damaged or missing panels, this should be a clear indicator that your wood fence needs replacing. Wood rot is something that will naturally occur as the wood continues to absorb moisture and be exposed to the intense sun and environment. Once decay occurs, it has to be replaced. Initially, you may be able to get away with replacing a few panels, but this too can indicate that it’s just a matter of time before more of the wood fence begins to rot and deteriorate as well. When it comes to anything – your wood fence or even your vehicle – when the maintenance requires more time and money than it would cost to replace, it’s time to reassess your situation. Sure, it can appear to be the cheaper route than getting something new, but in reality, that could be far from the truth. If you have to perform repair after repair, your costs can slowly begin to accumulate, costing your far more money and aggravation over time. If this sounds familiar to you, give us a call for a free quote to see if replacing makes more sense for you. At Fence Masters, specializing in fences is what we do. So when you’re looking for advice, or a quote, or someone to assist you the selection and installation, give us a call! Our team is always glad to help. We provide exceptional craftsmanship and customer service to help homeowners like you achieve the right fence for your needs.